Trying out new food and restaurants is something that’s worth doing during weekends or every time you visit a new place. If you’re the picky type when it comes to food, then you are missing half your life. If you are wary about the idea of trying something new, here are some reasons why you should let your guard down and be a risk taker. It’s understandable if you’re not into trying out new food or restaurants. You’d rather stick to eating food that you’re familiar with. But eating the same type of food every day for years can be very dull and sad. For a start, why don’t you dine out at Upper West Side restaurants during weekends and try to order dishes that are new to you? If you’re unsure of what kind of food to choose then you can always ask for help and recommendations from the waiter. Most of the time, the restaurant staff will recommend you their best sellers. You can order them to see how it goes. Chances are you may like it, or you may not, but always keep in mind that you won’t know until you’ve tried it. Being selective with food unconsciously adds tension to your friends and family members whenever you have scheduled eat outs and get-togethers. Since people are aware of your limited food preference, they have no choice but to adjust, to ensure your satisfaction, and it can become a mood killer. Your companions will very much appreciate it if you’re game enough to try new things. Trying out new restaurants and different cuisines is an excellent way to spend weekends with friends and other family members. 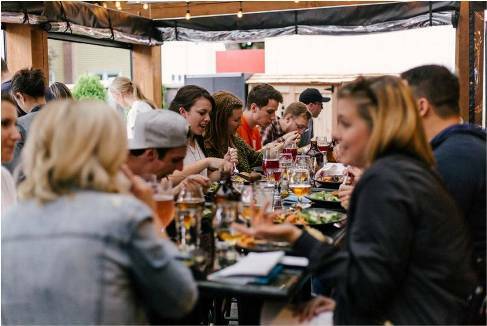 Most restaurants are jam-packed during weekends meaning that a lot of people prefer to sit around, relax and enjoy great food while sharing stories about everything under the sun. Eating the same kind of food every day may not be helpful to you. It means that you’re not getting the right amount of nutrition. If for example, your daily diet consists of meat, then you might lack fiber that causes constipation and other digestive problems. You can try infusing more salads and green vegetables into your diet for a healthier lifestyle. Making different food choices can also help reduce the risk of acquiring type 2 diabetes, hypertension and other lifestyle-related diseases. So, it’s a good idea to be more adventurous and open-minded when it comes to choosing where and what to eat. There will come a time that people will engage you in small talk and casually ask for your opinion about places to eat. You can confidently share tips about past experiences. Being adventurous when it comes to food has its pros and cons, but no amount of money can replace precious memories spent dining out.